How much is Bill Laimbeer Worth? Bill Laimbeer net worth and salary: Bill Laimbeer is an American former professional basketball player who has a net worth of $13 million dollars. 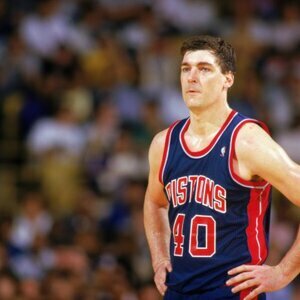 Bill Laimbeer was born in Boston, Massachusetts on May 19, 1957. He was raised in Chicago, Illinois in an upper-middle class family. He went on to graduate from the University of Notre Dame, and was drafted by the Cleveland Cavaliers in 1979. He spent a year playing basketball in Italy, before returning to the United States and re-joining the Cavaliers. 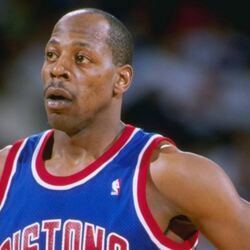 He was subsequently traded to the Detroit Pistons in 1982. He was a major asset to the Pistons. With his 6'11" frame, and penchant for highly physical play, he made the Pistons' defense formidable. He went on to lead the league in rebounds and free throw percentages multiple times, and over the course of his career he made over 10,000 points, and grabbed down over 10,000 rebounds. His reputation was somewhat tarnished by his penchant for hard fouls, but it was his excellent defensive skills that earned him NBA All-Star honors four times. He was also the 1986 rebound champion and a two-time NBA Champion. After retiring, he coached the Detroit Shock from 2002 to 2009. He is currently the General Manager for the New York Liberty. Laimbeer's highest career salary was the $1.5 million he was paid in 1990 by the Pistons.